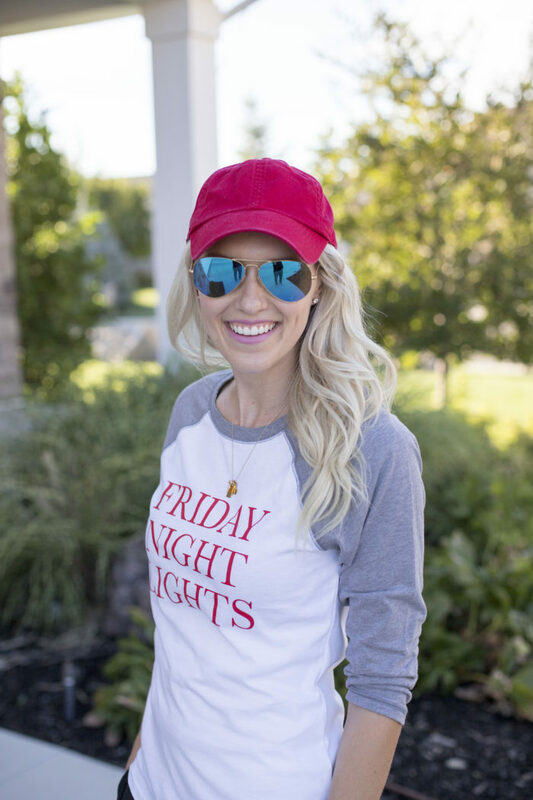 Game Day Outfits: Cute Outfits to Wear to Football Games! Game day. Ahhhh, yeah! For me, a lot of the fun of going to an event is dressing up for it. For example, the 4th of July is my jam. Like, my jam. I had 3 separate outfits this year, I think. A little excessive? Nope. Never. How dare you let your mind even go there 😉 It adds excitement when you’re dressed up for the occasion! 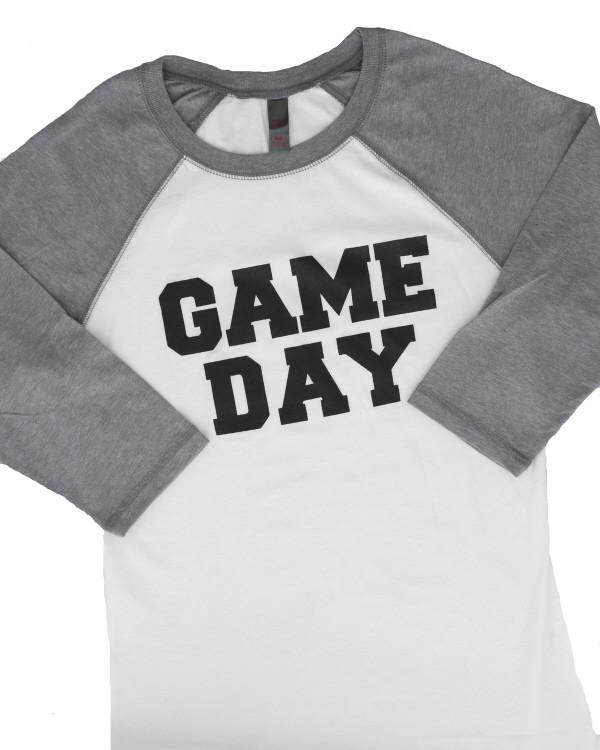 Game day is no exception. I love dressing up for BYU football and BYU basketball games. 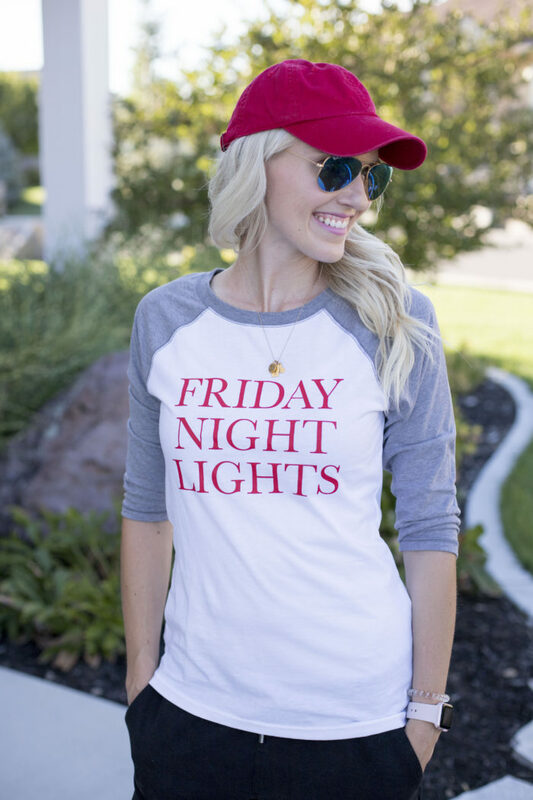 I kind of feel like I’m cheating on my BYU with this red Friday Night Lights shirt, I should have chosen this tailgates and touchdowns shirt, but I guess my Texas roots run deep. 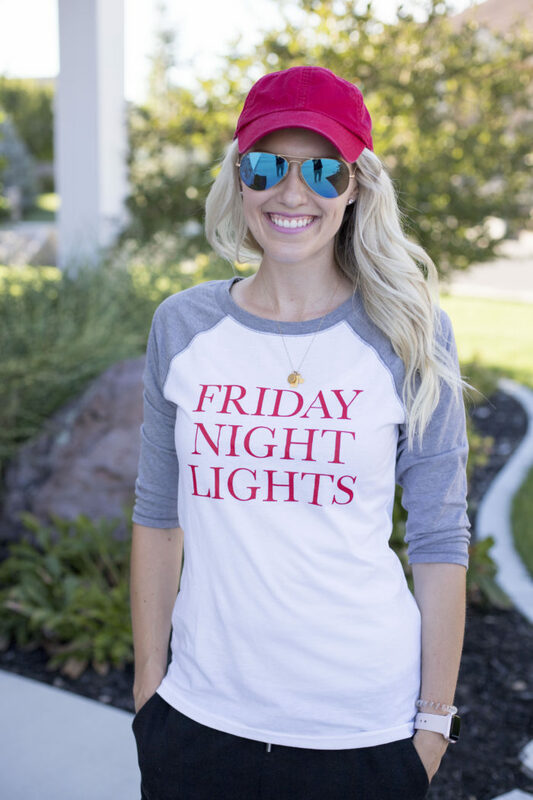 Friday Night Lights, baby! But seriously, football in Texas is HUGE. Our high school stadium at CHHS was bigger than a lot of college stadiums. The whole city comes out for football, whether they have children attending the high school or not. It’s actually really fun. I was on the dance team in high school, and I once went into the trainers because I was having some ankle issues. 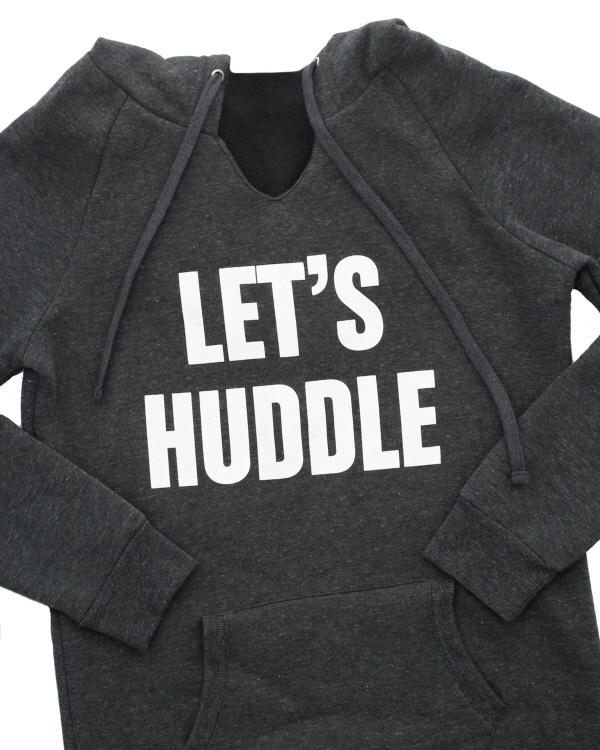 They pretended like they cared, but when a football player walked into the room, it was all hands on deck. I’m pretty sure the trainers fed them grapes and fanned them while giving them a massage including any essential oil they picked out and then gave them pina coladas to sip on slowly. Virgin, of course. Remember, we were in high school. My memory is getting fuzzy, but I’m pretty sure that’s a real story. 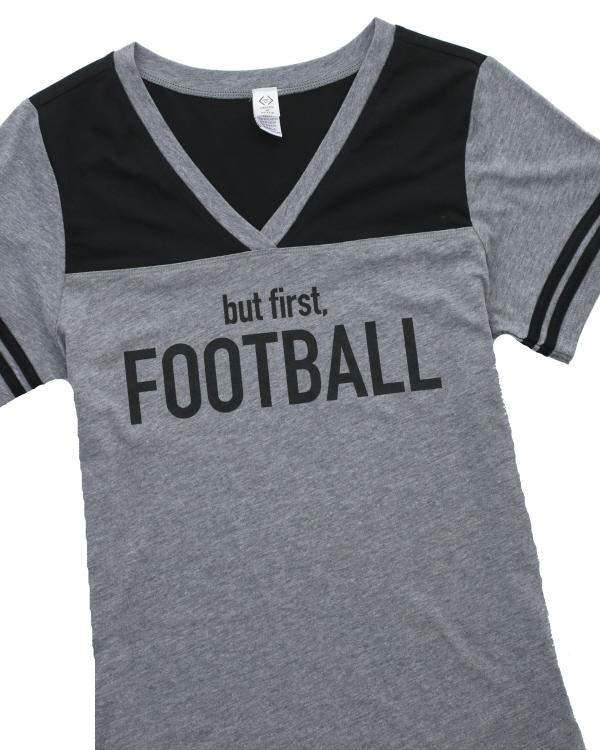 There are some really cute game day essentials on sale right now HERE, and with football starting, it’s the perfect time to snag them!! 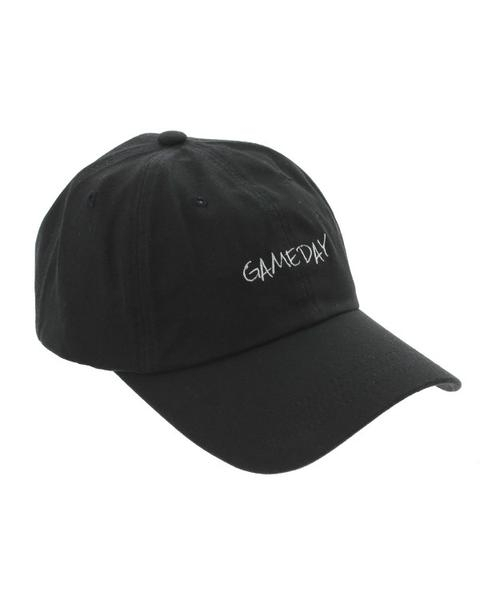 Use code GAMEDAY17 at checkout to get $13 off the lowest price + free shipping. Texas forever, y’all. 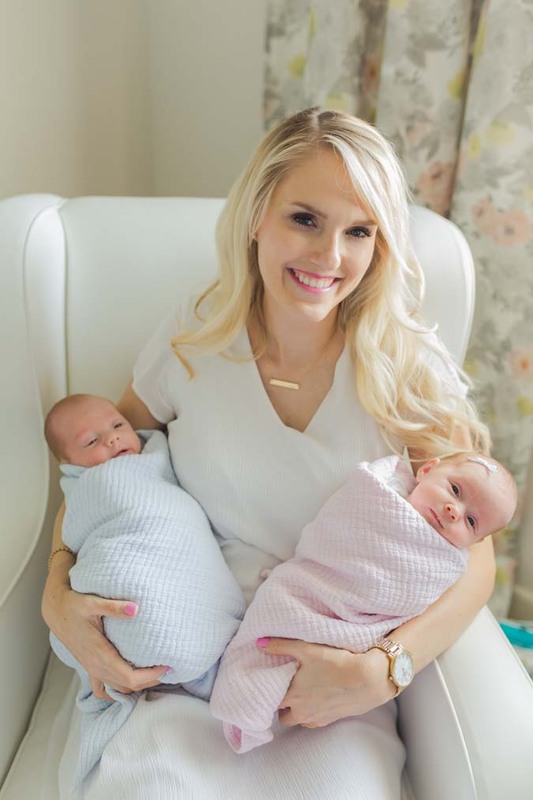 If you missed my post on Monday about being happy, click here! I hope you have a happy weekend, friends. A lot of you were interested in my at-home gel manicure that I have finally perfected, so I will post that next week. Can’t wait!